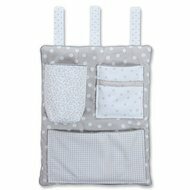 The Sleeping Bag White - dots pearl grey from Babybay is more than a good alternative to sleeping bag and blanket. The elastic and non-slip waistband allows your baby to slip into the cuddly nest, which is lined with particularly soft jersey. The upper material is made of breathable cotton and provides a pleasant climate inside. The easy-care little cuddle offers warmth and security and enough space for the little legs to move. Practical: The slip bag does not only look good in bed. Thanks to the two belt slots it can also be used in a baby car seat. F&uuml;r welche Gr&ouml;&szlig;e ist der Schlupfsack geeignet? 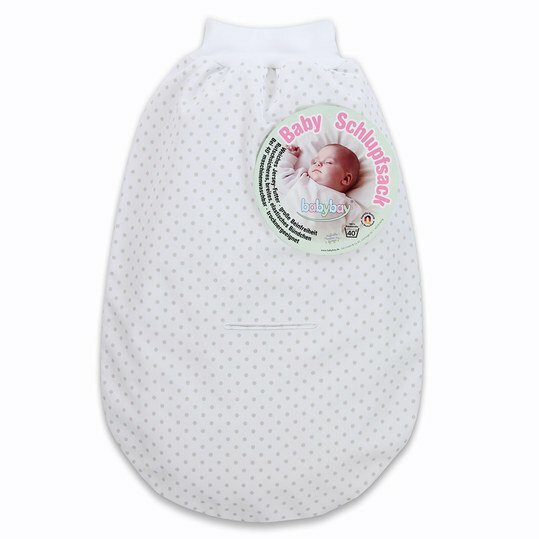 Hallo Engelchen17, Du kannst den Babybay Schlupfsack Wei&szlig; - Punkte Perlgrau solange verwenden bis er nicht mehr passt. Die Abmessungen sind 52 x 35 x 0,50 cm. Liebe Gr&uuml;&szlig;e, Melanie vom babyartikel.de Team.